It's been a long time coming for Moving Mountains, and finally after months of talking up a departure from their old sound, we have proof in the form of a new song. "Where Two Bodies Lie," the track that was heard live on the recent Audiotree session, is now streaming on the band's facebook here. How is it? 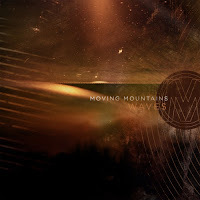 Appropriately different, Moving Mountains were not lying when they told fans that the new songs would lack some of the post-rock qualities of their earlier work, and "Where Two Bodies Lie" is a much more straightforward track than anything heard on Pneuma. The little bites of string work give the song an appropriate amount of atmosphere, but we'll just have to wait until Waves is released on May 10th before we can know about all the changes on the album for certain.